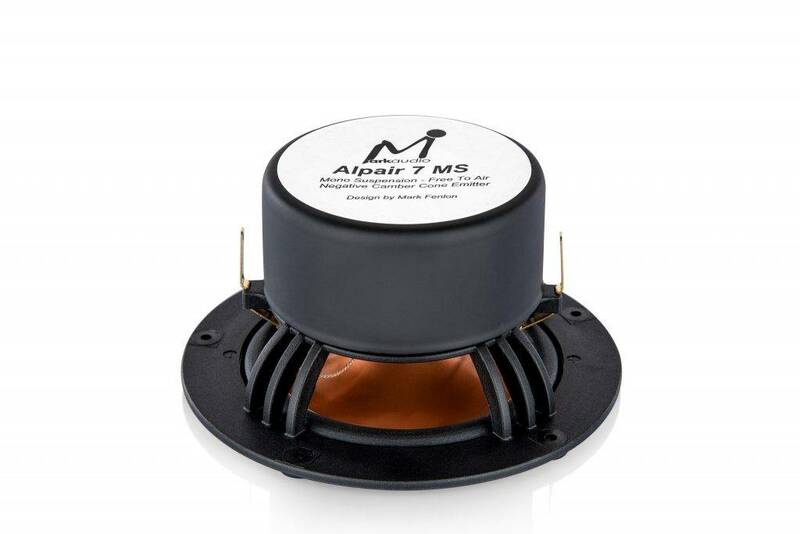 The advanced design Alpair 7MS (mono suspension) is a radical departure from previous models. The 7MS is completely new, utilising many new design components and manufacturing processes. The two main features are the patent-pending Negative Camber Cone and Mono suspension system. Other key features include a custom designed, gas-flowed glass-fibre chassis and dedicated ultra light voice coil. The 7MS cone is an ultra shallow design affording a wide dispersion pattern. The outer section of the cone profile is angled backwards creating a +180 degrees emittance pattern to help optimise stereo imaging. Vocals from quality sources sound more natural and detailed as the central cap and cone profile are geometrically close-aligned. Much technical research has been done to balance the driver’s powertrain (cone, cap, coil and suspension) between its axis of travel and the corresponding centre of gravity. The new negative-camber cone facilitates the repositioning of the coil to avoid the need for a traditional rear suspension (spider). Mark’s new mono suspension design frees the coil from having a restrictive spider bonded to it, improving the transfer of energy from the driver’s motor to its cone. The new suspension employs an all new custom mix of four synthetic materials, resulting in improved linearity under low frequency loads. The various slopes and rounded angles help improve sound wave emittance. Custom extended terminals are provided for push-on connectors or light-soldering for cables up to 1.5mm diameter. I am listening to the New 11ms in a Twin Frugal Horn XL Cabinet in one set up. 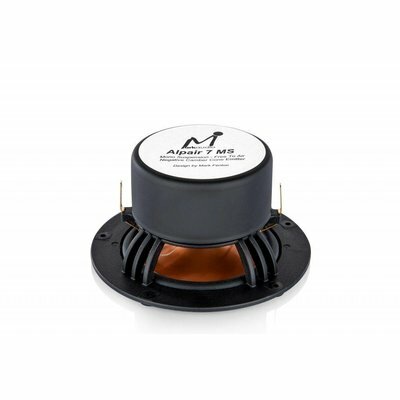 These new mone suspension drivers are going to be a game changer ! Building a Hybrid Horn Cabinet for the 7MS. Na ontvangst heb ik de A7's in de Frugal hoorns gemonteerd en gemeten. Enige correctie bleek nodig. Na wat meten en luisteren en aanpassen van de serie RCL-kring kwam ik uit op 0,68 mH / 6,8 Ohm / 5,6 microfarad, parallel geschakeld. De meting ziet er nu goed uit en de meetruis klonk zonder accenten. De weergave bevalt me, wat beter nog dan die van de A7 gen3. Ruimte en atmosfeer worden door geen enkele van mijn meerwegspeakers zo realistisch gepresenteerd, ook niet door een Kef Reference.